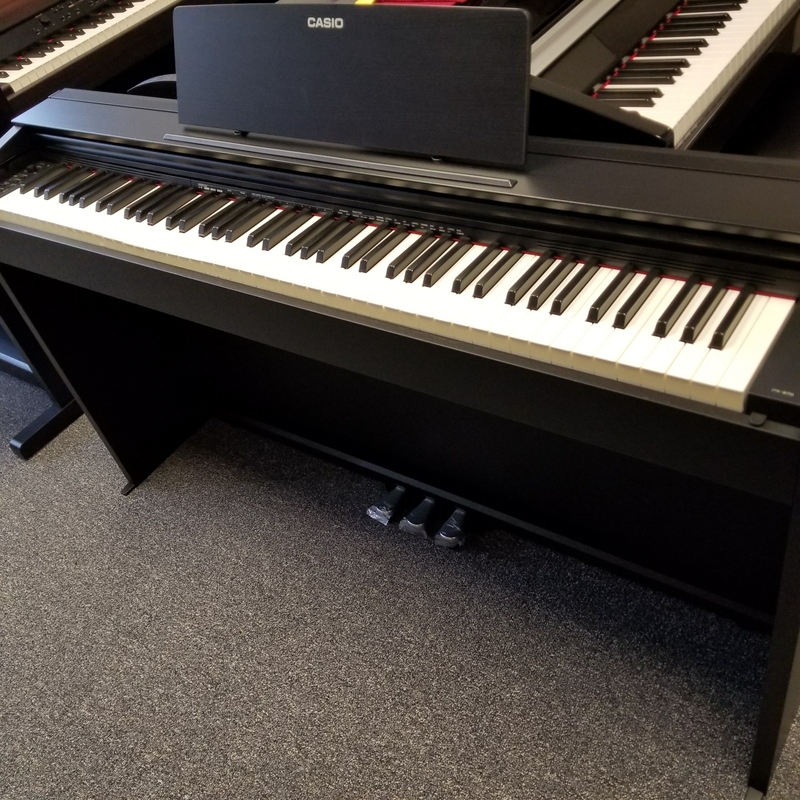 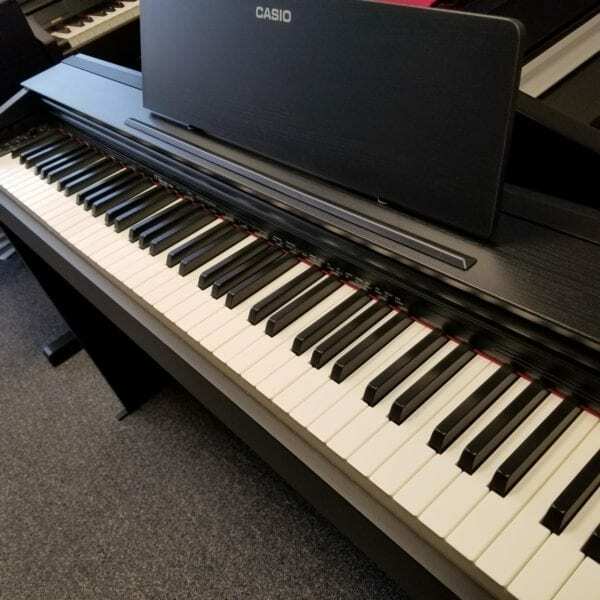 This new, upgraded model from Casio was awarded the Dealer’s Choice Award by outside reviewers, beating all other brands as the top Home Digital Keyboard! And at this price–wow! 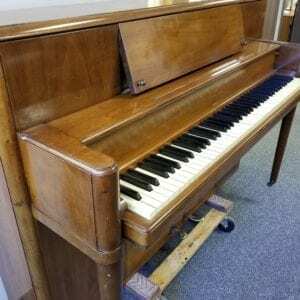 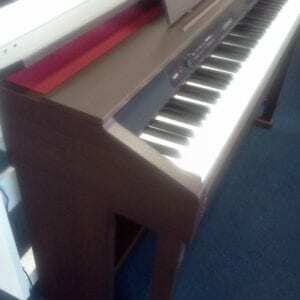 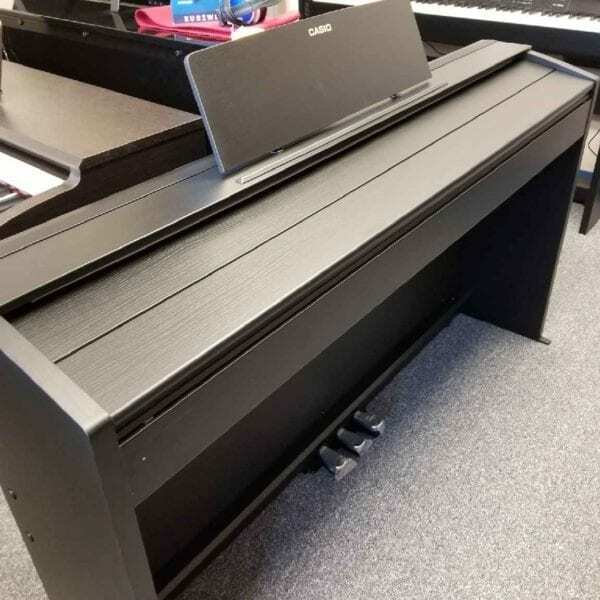 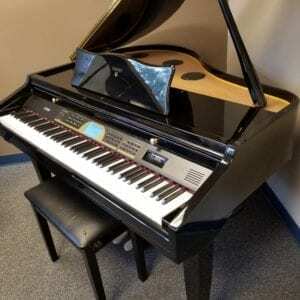 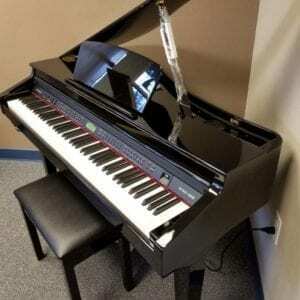 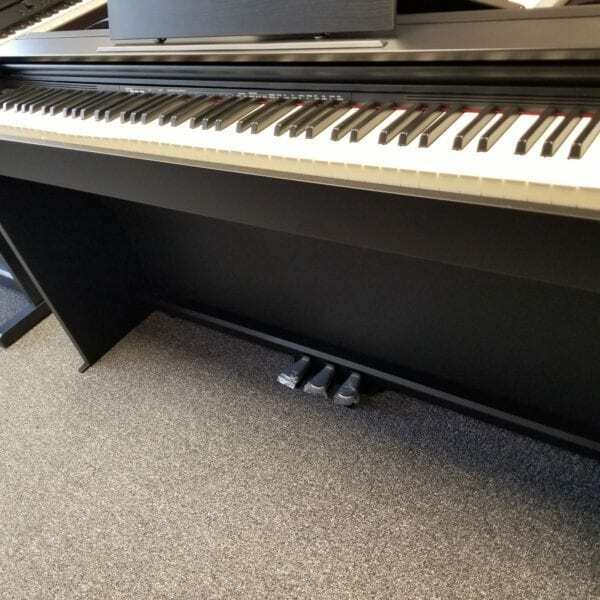 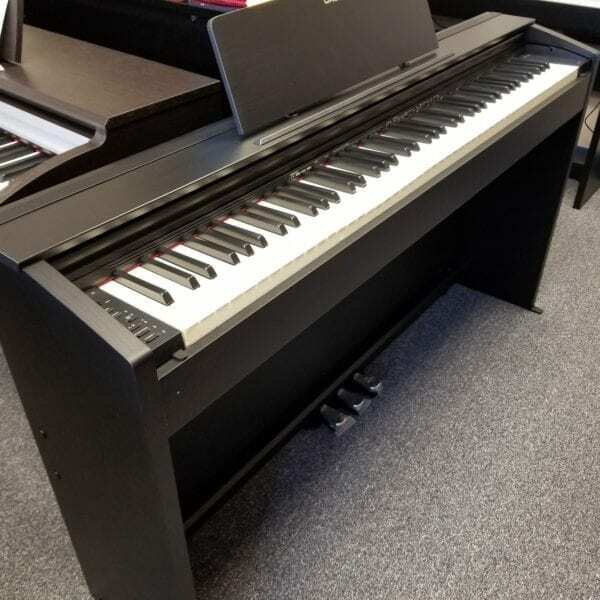 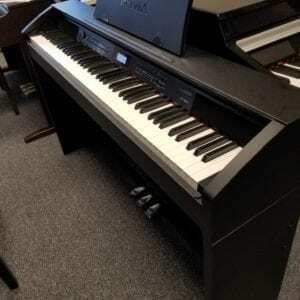 The piano has big speakers for a small package With the wooden cabinet, complete with key cover and modesty curtain, it has the look and sound of a piano. 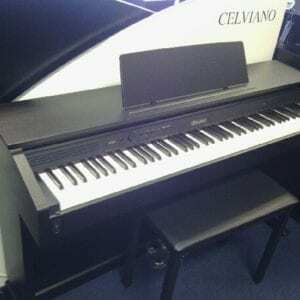 It’s available this week in black, and can also be ordered in brown walnut or white.